WebStorm seems to have all of the things I want.. better language recognition ("intellisense") and the ability to integrate additional outside libraries into this (I'm using Kendo), etc. Is this possible? How do you get WebStorm to recognize the @"" invoked Razor language inserts? 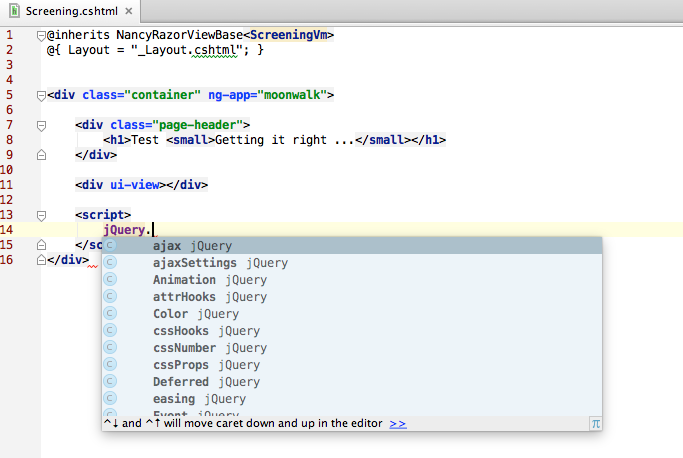 Webstorm is pretty server side agnostic. I would think that JetBrain would be silly to enter the ASP.NET space with an IDE at this point. You can see their other offerings with IntelliJ and RubyMine, PhpStorm, PyCharm - all avoiding ASP.NET and MVC. They've got Resharper too which is a great VS add on. Is Razor or XSLT better for my project?